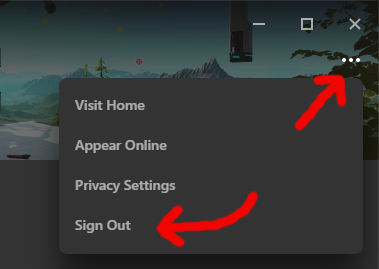 Where is the Logout Button in the Oculus Rift Desktop App (Windows 10)? 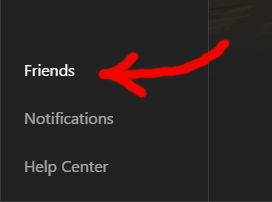 I installed the Oculus App and Logged in with my Work-Account and want to switch to my Personal-Account. But where the heck is the Log-Out Button??? Some People say there are 3 Dots somewhere in the Social area you can click on. But I can't find it there? 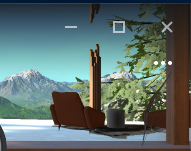 The ony three dots I see are in the Dash-Menu but when I click on that there is no Logout-Option either. So can somebody please tell my how to switch between accounts? And maybe provide a sreenshot?